An engine requires the correct mixture of air and fuel in order for it to run smoothly, and the amount of air that gets in to the engine is controlled by the air intake system which has a component called the throttle body installed within it which controls this. If the throttle body was to become faulty for any reason, and the incorrect amount of air was being released in to the engine, this could go on to ruin the air fuel ratio, hence causing a number of problems. P1609 (throttle body internal fault). How Can Sinspeed Help With My Faulty Volvo Throttle Body? Here at Sinspeed we are able to fully test & repair your Volvo throttle body which will not require any programming when re-fitting and will also come with a lifetime warranty. All Volvo throttle body’s are repaired using only genuine OEM components whilst uprating components when possible to ensure that each and every rebuilt throttle body meets and exceeds OE specifications. Call us today on 0203 815 9441 for further information on how we can help you with your Volvo Throttle Body Repair! Tags : Volvo Throttle Body, Volvo Throttle Body Problems, Volvo Throttle Body Rebuilds, Volvo Throttle Body Repair, Volvo Throttle Body Repairs. Thank you for your enquiry, and many apologies for the delay in our response. 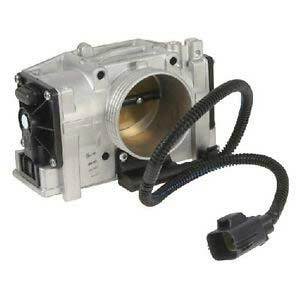 We have sent you over an email now with further information and pricing regarding a Volvo Throttle Body. 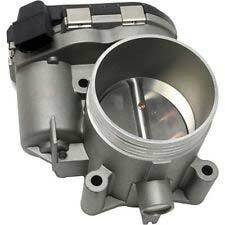 Looking for a throttle body for a Volvo 2002 model S60 T5 that is the 2.3liter turbo. I am in South Africa, do you export to us? What is the price? How long does it take to get here? Hi would it be possi to send me a price to fix my throt body for a S60 2.5D year 2007.